Tata, Reliance, and Airtel have been named as the three most valuable brands. 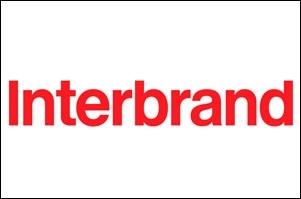 Interbrand, the world's leading brand consultancy has named Tata, Reliance, and Airtel as the three most valuable Indian brands of 2019. In its sixth year, the Best Indian Brands ranking saw Retail make its presence felt in the league table, which was otherwise dominated by Automotive, Diversified Businesses & Financial Services sectors. This year's table features three new entrants. Big Bazaar joins at #33 (INR 26.86 Bn), DMart at #37 (INR 20.15 Bn) and Nerolac Paints enters the table at #39 (INR 19.19 Bn) for the first time. On the other hand, Reliance Group (R-ADAG; last on in 2017, INR 46.56 Bn) and Canara Bank (last on in 2017, INR 19.73 Bn) exited the list this year. Ever since its inception, Tata has continued to hold the top position in the Best Indian Brands table. However, Tata's brand value grew by a modest 6.5% - contributed significantly by its tech services business TCS. In the same vein, Reliance, which after taking over the No. 2 spot from Airtel last year, consolidated itself as a strong no 2 with a growth in brand value of 12%. This performance was bolstered by the phenomenal growth of JIO. HDFC Bank, LIC, State Bank of India, Infosys, Mahindra, ICICI Bank and Godrej round off the Top 10. Financial Services and Auto contributed the most to this year's Top 40, at 27% and 13% of value. "Most Indian businesses looked at change as a big risk to their existence. But to them we would say: Risk is no longer in changing. But in not changing. And challenge is no longer just the competition or the ever-changing business environment. It's our own inertia. Our fear of the new, of the unknown. And yet, most inevitably fight that change, trying to bend a fast-changing world to their obsolescence. What's really encouraging is that we are now seeing the progressive few accept that the world is changing and making attempts to change. They acknowledge the new consumer preferences. They accept the new desire for experiences and respond positively. Replacing complacency with competitiveness. To reinvent themselves before they reinvent their categories. And remain unafraid of the change to drive brave growth. That, in sum, is the secret behind this year's Top 40's success." Said Ashish Mishra, Managing Director, Interbrand India. 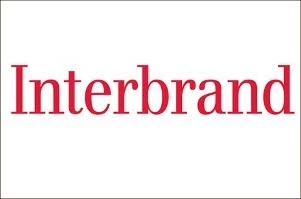 Providing a global perspective on the Best Indian Brands 2019, Rebecca Robins, Interbrand's global Culture and Learning Officer, in India to unveil the Best Indian Brands said: "In a fast-changing world, brands are the only assets that companies can fall back on, to navigate the challenges. Indeed, brands are the crucial interface between technology and consumers, that channel an organisation's efforts to engender growth. Globally, the one category that has managed this well, to constantly evolve; to lead new ecosystems; to craft highly personalised and meaningful micro-experiences while still being rooted in a larger purpose, is Luxury. No wonder then, that the world's and India's top change drivers are taking a leaf out of the Luxury playbook, to grow by adopting a" Luxury Mindset"